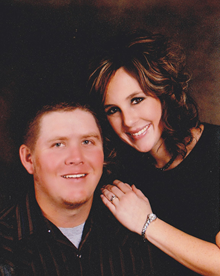 My husband and I have been praying through a problem lately. We have joined hands in prayer and sought God’s wisdom regarding this situation. We thought we saw a solution on the horizon and were almost certain that it was how God was going to come through for us, but when it fell through, discouragement set in, and soon so did the grumbling. One morning during my quiet time I cried out to God for a fresh perspective regarding the situation. It just so happened that Exodus 16 was in my Bible reading plan for that day. No accident there! In Exodus 16 we find the Israelites fresh on the heels of a miraculous work of God. God had just delivered them out of Egypt and parted the Red Sea so they could escape the pursuing Egyptians. In Exodus 15 the Israelites praised God and sang songs about His faithfulness, but with a literal turn of a page in the Bible we find them discouraged and grumbling. It’s easy for us to judge the Israelites here for their grumbling after they had just witnessed God’s power and should have trusted that He would come through for them again, but let’s not be too hard on them now. They were hangry! Yes, God had been faithful, but they were now a month into their wilderness journey and needed something substantial to eat. I know I have a few close friends who can relate to that hangry feeling (ahem, not mentioning any names). It’s hard to think straight about God’s faithfulness when we are hangry, right? The Israelites grumbled and complained, and in Exodus 16:4 God says to Moses, “I will rain down bread from heaven for you.” Moses and Aaron, in turn, go to the Israelites to relay the good news that God has promised to provide for them. Moses tells Aaron in verse 9, “Say to the entire Israelite community, “Come before the Lord, for he has heard your grumbling.” Verse 10 tells us, “While Aaron was speaking to the whole Israelite community, they looked toward the desert, and there was the glory of the LORD appearing in the cloud.” Did you catch that? While Aaron was speaking implies that the glory of the LORD came instantly. Now let’s note here that the promised provision didn’t happen instantly. The quail didn’t come and cover the ground until later that evening, and the promised bread from heaven didn’t come until the next morning. But the glory of the Lord appeared while Aaron was still speaking. If the provision didn’t come right away, how are we to appropriate and apply to our lives the glory that came instantly? The Hebrew word for glory used in verse 10 is pronounced kabode, and it means reputation, importance, splendor, and riches. 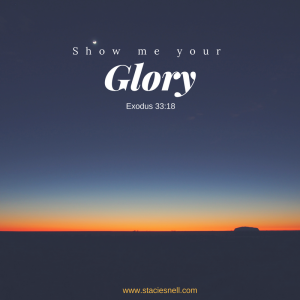 Additionally, many times throughout the Bible the word glory refers to God’s presence (see Exodus 33:18-23). So you see, while God’s provision didn’t come instantly, His presence did. When the Israelites came before the LORD, they came into His Presence. When they lifted their eyes off of their problems and onto the LORD, they were able to remember His faithful reputation, invoke His importance, see His splendor, and rely on His riches. All of that was available instantly. Back to my situation…that morning when I cried out to God for a fresh perspective concerning our problem, something miraculous happened. I saw the splendor and glory of the LORD. I didn’t see the provision that God has been promising right away. In fact, we are still patiently (okay, kind of patiently) waiting to see exactly how God is going to provide in this situation. But, I did see His glory. His presence enveloped me that morning and renewed my faith. As I sat in His presence remembering His reputation and recalling all the ways He has come through for us before, my heart felt lighter and the problem seemed smaller. Maybe you are there too. Perhaps you have been praying for something and have yet to see the answer or provision. Allow me to encourage you to come before the LORD. He hears you. He’s coming to your aid and promises to provide. 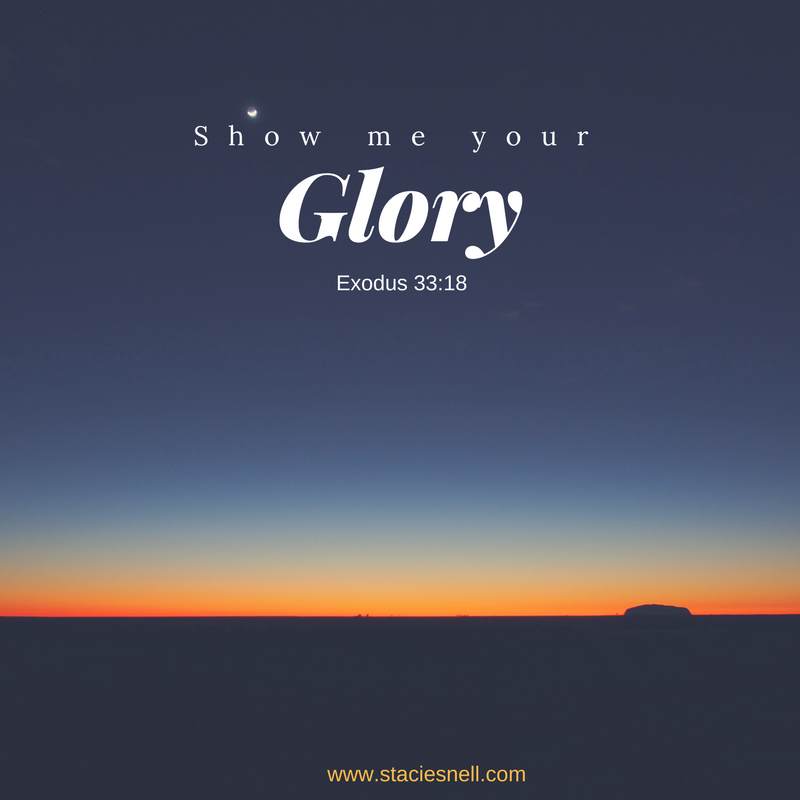 It may not be instantly that you see the answer, but instantly, He will show you His glory. Lord God, Thank you for your presence and your glory. So many times we get your glory confused with the envisioned answers to our problems. The truth is, your glory is the answer to our problems, but it’s not always what we have pictured as the answer. We are so grateful for your presence, your riches, your promises, and your faithful reputation. Lord, increase our faith and show us your glory. In Jesus’ name, amen.